In my previous article, I mentioned that I am using Big Game Logic to pattern and possibly recapture a few study animals for my graduate research. 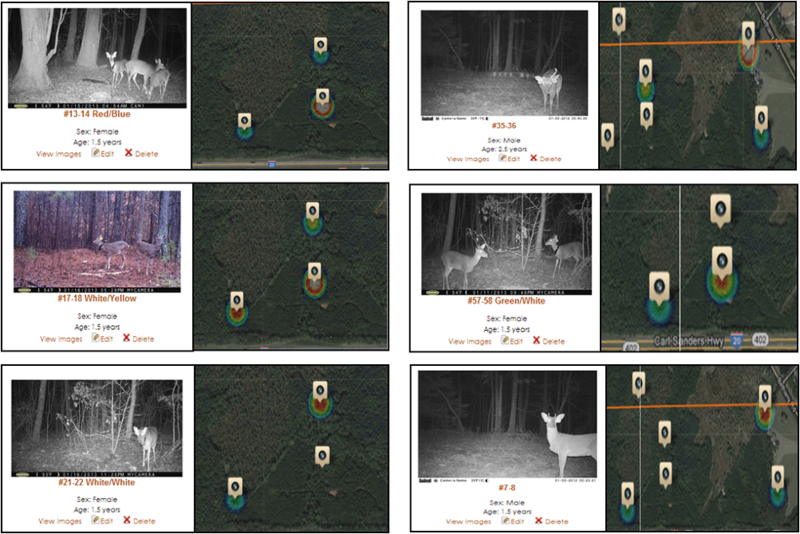 After a couple weeks of running trail cameras at bait stations, we have identified numerous marked animals, and patterns are starting to emerge. We even had a close encounter with a collared doe, but she did not get close enough for a shot. We need deer within 20 yards to dart them. Unfortunately, animals that have been previously darted are very nervous around bait piles, so we have our work cut out for us. Hopefully we will intercept at least a few of the individuals in the “hit list” below. Wish us luck and stand-by for updates!